View More In Bags, Cases & Sleeves - Page 3. The M.A.S.K. Hi-Five Checkpoint Friendly 17-Inch Backpack offers quality and features you will not find in any other backpack on the market. Starting with our patented M.A.S.K. technology, you can customize this backpack anytime with your choice from an array of outer faces and internal artwork linings – check out Slappa for the many options you have with this backpack. The SLAPPA M.A.S.K. provides protection, comfort, storage space and functionality that make it the ultimate backpack for traveling with your laptop + other gear. 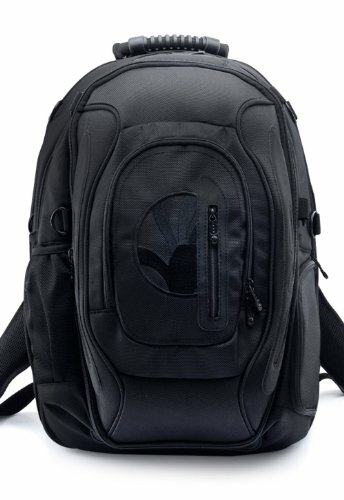 It is checkpoint friendly (meaning you can keep your laptop in the back when going through airport scanners), it is made of extremely durable 1680D ballistix material that is water resistant and puncture proof, it features super-cush padding throughout the backpack included in the dedicated laptop storage compartment that can carry most all 17-Inch laptops, and it has a molded dura-strip on the outer underbelly of the bag for added protection and it has molded alloy zipper pulls. When comparing features, quality, price and warranty, no other backpack compares at this price point. To take advantage of SLAPPA’s lifetime warranty, just register your product with Slappa. If you have any questions about this product by Slappa, contact us by completing and submitting the form below. If you are looking for a specif part number, please include it with your message.